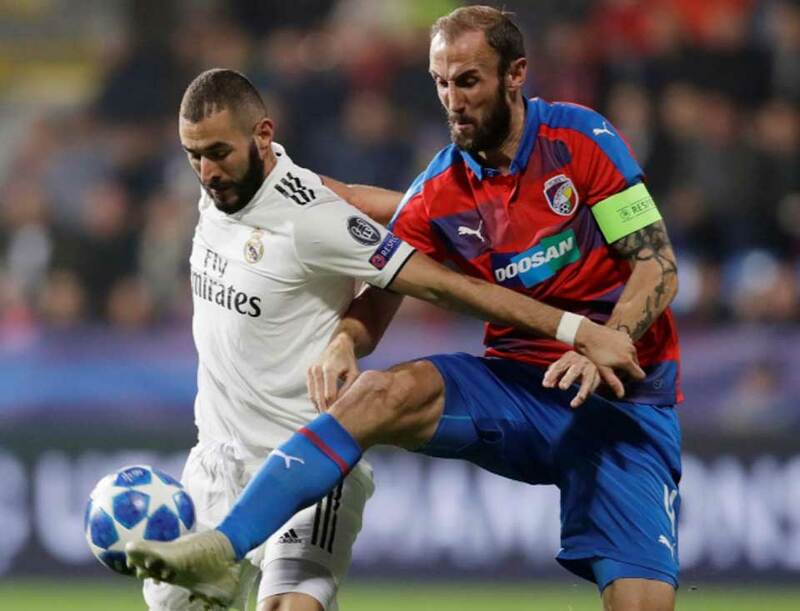 PLZEN, Czech, Nov 8: Real Madrid took a huge step towards clinching a spot in the Champions League knockout stage on Wednesday with a 5-0 rout of Viktoria Plzen as Karim Benzema scored two of four first-half goals for the Spanish giants. 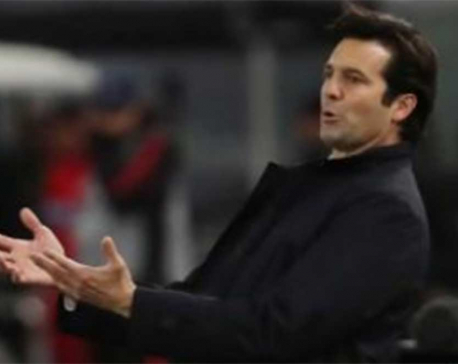 In temporary coach Santiago Solari’s first Champions League game in charge Real began slowly but were out of sight before halftime after a clinical masterclass of finishing. 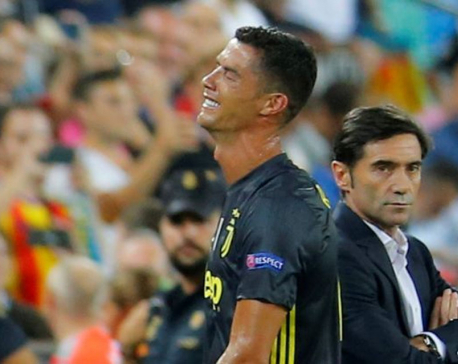 The victory also marked Real’s third in a row in all competitions under their temporary coach, who said he was focused on the next game rather than his status at the club. With two games remaining in Group G reigning champions Real are joint top on nine points with AS Roma who beat CSKA Moscow 2-1. CSKA have four points with Plzen on one. 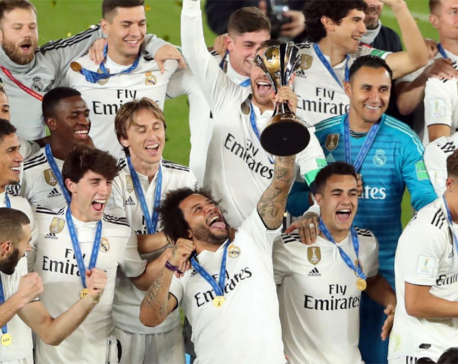 “It was an important night for us,” Casemiro said. “We’ve scored five times and this result will give us confidence. What turned into a comfortable night for Real began in nervy fashion as Czech champions Plzen began brightly with Patrik Hrosovsky’s cross cannoning off Nacho and hitting the woodwork. “We conceded four goals in the first half and the match was over,” Plzen defender Lukas Hejda said. The hosts were more lively after the break and managed a few shots on goal but could not find the quality they needed in the final third to chip away at Real’s lead. The loss was Plzen’s second 5-0 drubbing in Group G play after Roma’s Edin Dzeko scored a hat-trick in leading the Italian side to an easy win in early October.